My family is staying in Les Brevieres this coming week. We are all intermediates (though easy, rather than difficult blacks and, to be honest, my knees are very happy cruising for at least half of the day on easy reds/blues!) except my youngest who is ten and is somewhere between beginner and intermediate. She can certainly do easy reds. 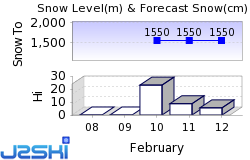 I imagine that the snow will be slushy in the afternoon and a) am not sure if it will be possible to ski down to Brevieres b) how long it will take us (and how we do it?) to get up the mountain in the mornings and c) whether I should fork out for the whole area pass, ie to cover Val d'Isere, or just stick to the Tignes pass. Oh, and final question, is there a bus back from val d'Isere to Les Brevieres in the afternoons/early evenings. Any advice would be VERY welcome. It is forecast to be a little warmer next week but there is masses of snow above 2,000m and more to come this week so everything above the level of Tignes le Lac should be great. The "home runs" (Red and Blue options) back to Les Brevieres are likely to be slushy but you can always download on the gondola (slush can be fun if you get the timing right!). To get up, you'll have to take the new gondola up from Brevieres to Les Boisses (which I think is now running reliably after some teething issues early in the season), then gondola up from Les Boisses for a choice of chairs to take you high enough to drop into Tignes le Lac. You've got a lot of Blue/Red choice just in the Tignes bowl, and the Tignes pass covers you for the "first drop" toward Val d'Isere (the limit of the pass is well sign-posted - so do pay attention to the signs!). You can travel round the whole bowl on Blues - easiest done clockwise, starting up the Toviere gondola from le Lac - which is great for giving young 'uns a sense of achievement. 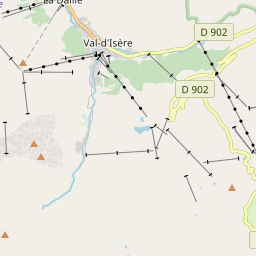 That said, there are some nice, long intermediate runs around the Bellevarde (first Val d'Isere mountain) and a big "Tranquil" area which is nice for easy cruising with beginners. Your call on the lift pass choice! There is a timetable for the Val d'Isere/Tignes shuttle at https://en.tignes.net/holidays/getting-around/la-navette-tignes-val-disere. That only appears to go to Les Boisses, and ONLY with the buses from 17:37 - which will be too late to catch the gondola down to Les Brevieres (which stops at 17:00 EXCEPT Thursdays and Fridays...). Email the tourist office to be sure, or just ask when you get there! Should be a cracking week - enjoy! I have found a family pass for Tignes and Val for 936 Euros which I think works out cheaper than getting day passes in Tignes only. I really appreciate your advice. Any other on anything Tignes and/or Brevieres related most welcome! Pluto wrote: does the gondola from Les Boisses to Brev. continue until quite late in the day? That does sound as if you need to be down by 5, but do check "on the ground" as the shuttle bus routes do get tweaked. For more info, there are a couple of trip reports from April 2018 and December 2016 and (maybe for your next trip... ) Snoworks All-Mountain Ski Courses. 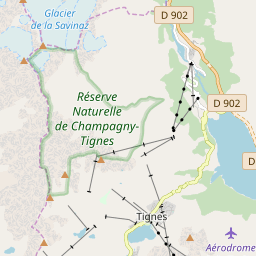 Ski Hire Shops in Val d'Isère, Tignes, Tignes Le Lac, Tignes Les Boisses, Tignes Les Brévières and Tignes Val Claret.